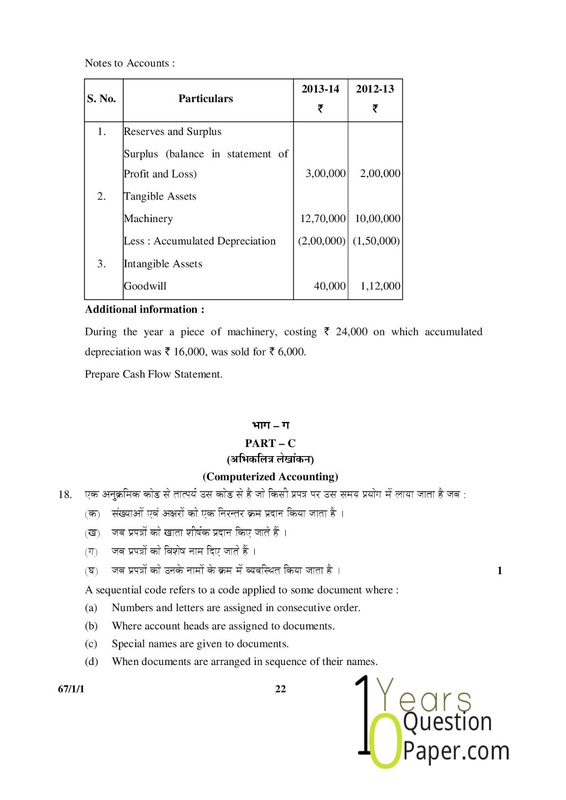 Accountancy 2015 class12th Set-1 free sample question papers of (Accountancy) are issued by Central Board of Secondary Education (c.b.s.e.) 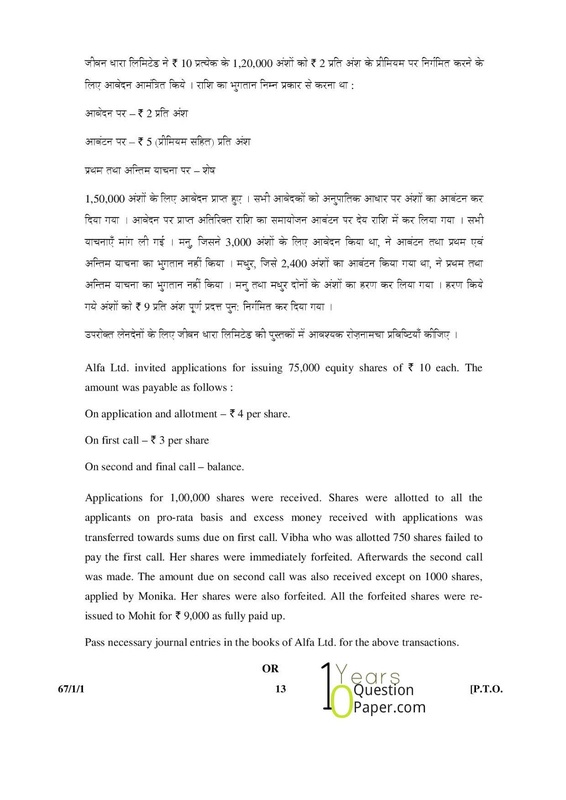 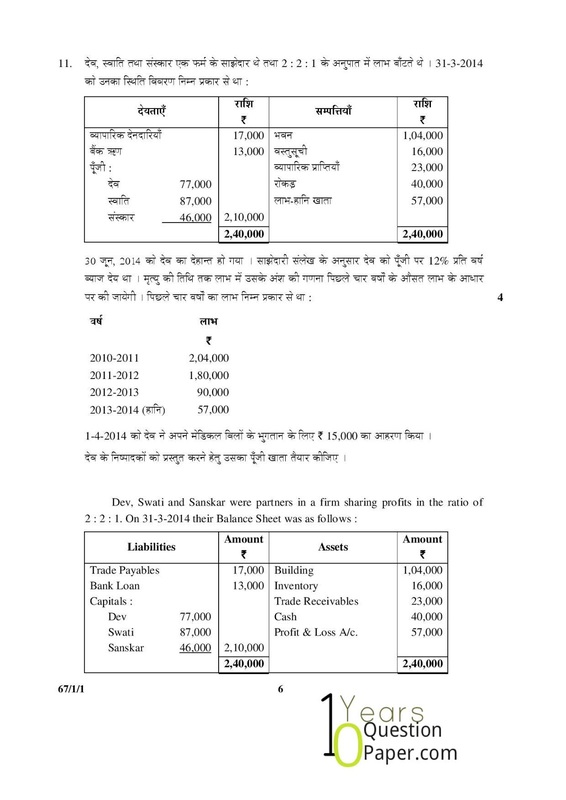 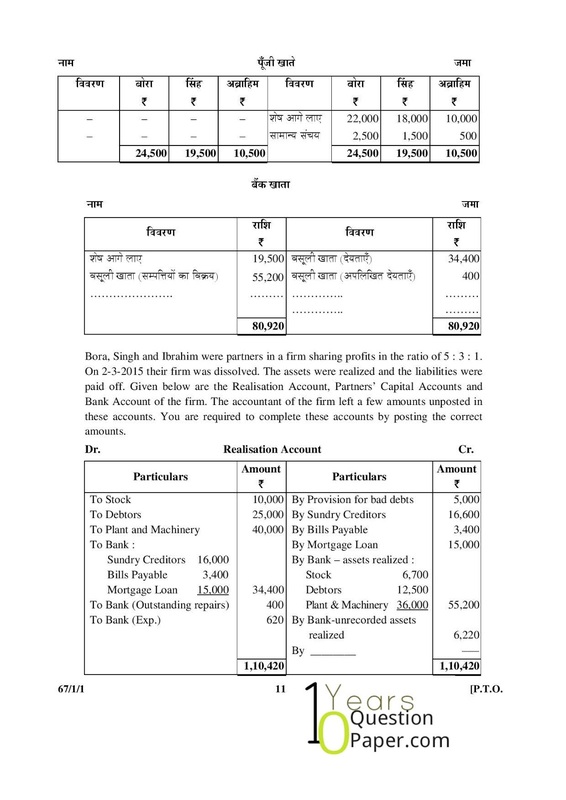 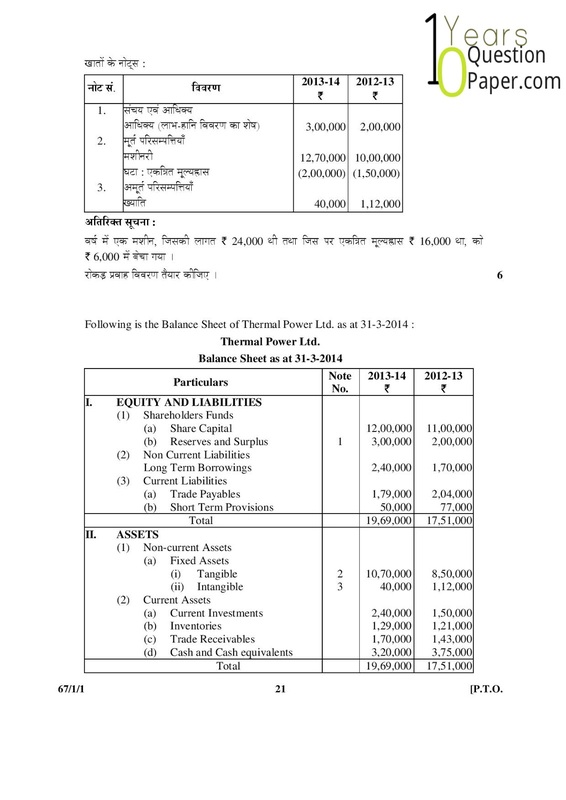 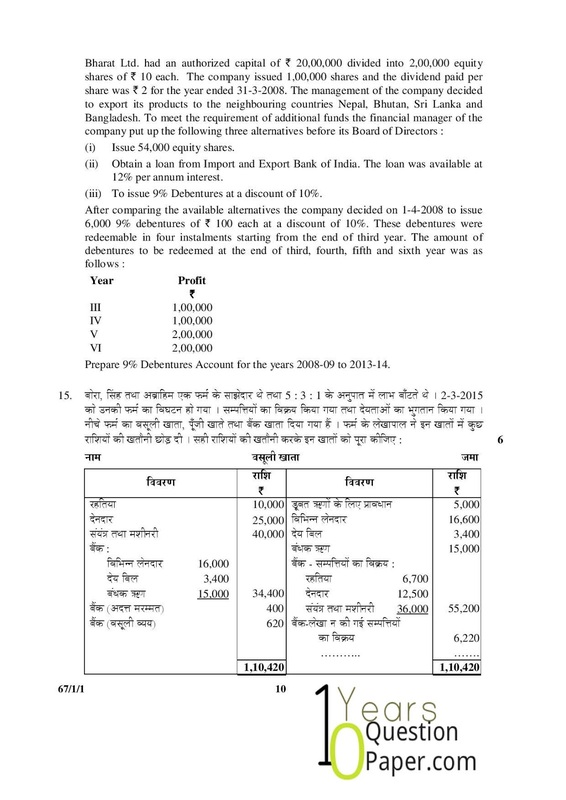 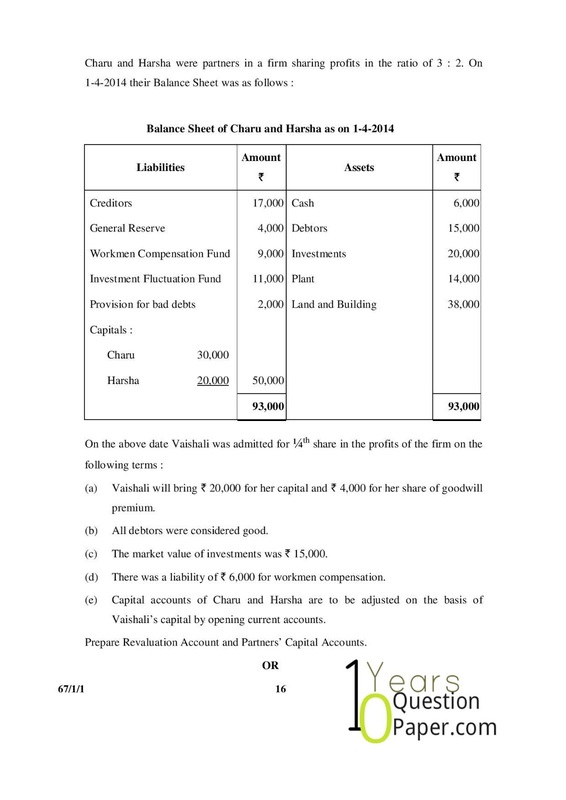 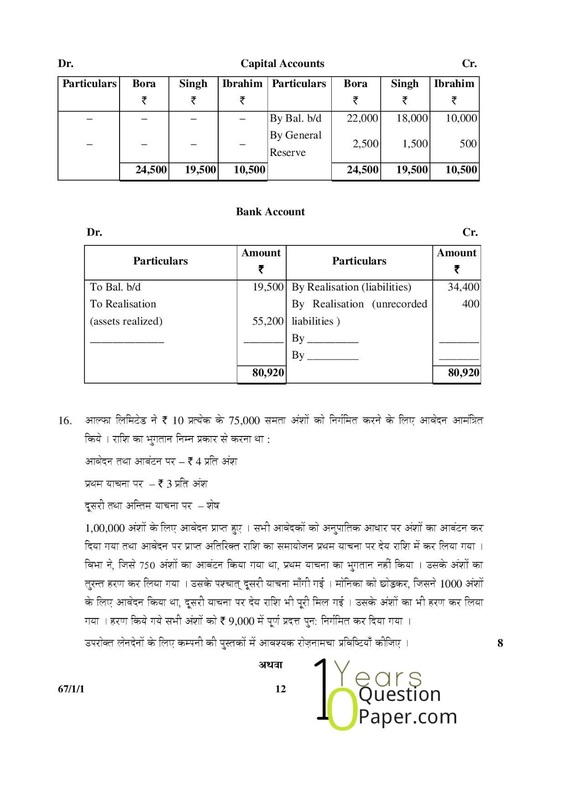 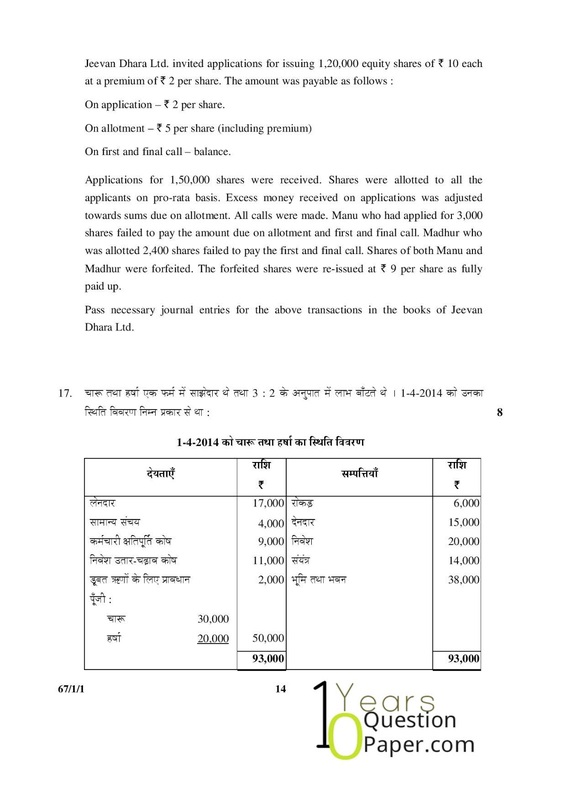 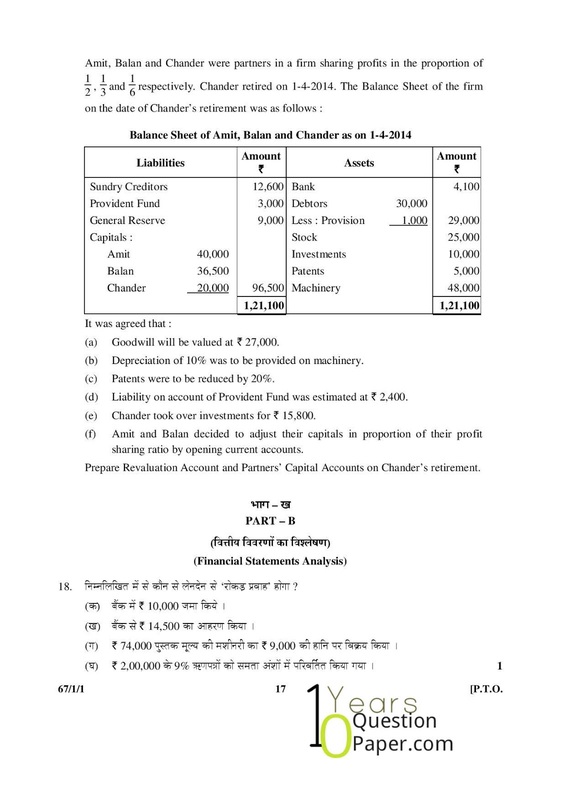 2015.Account cbse syllabus for class 12th 2015 Accounting for Partnership Firms and Companies, Financial Statement Analysis, Cash Flow Statement,Accounting for Companies, Accounting for Partnership Firms and cbse important question bank. 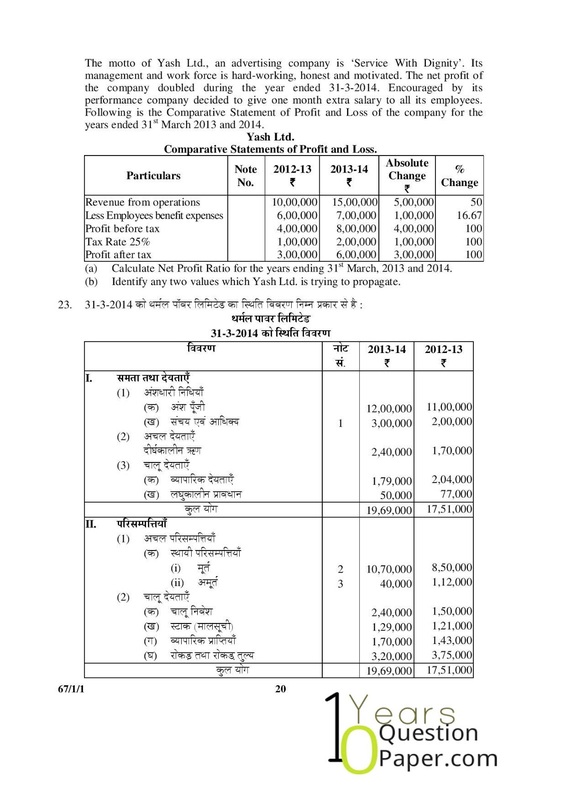 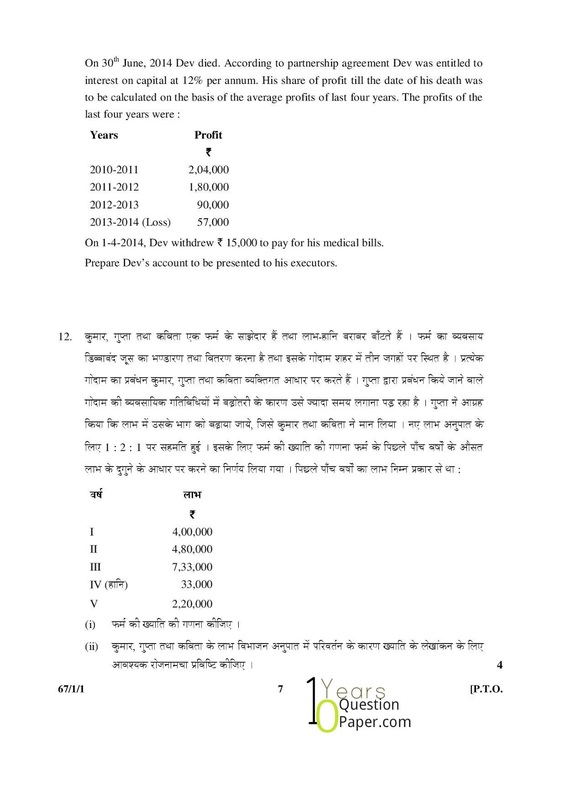 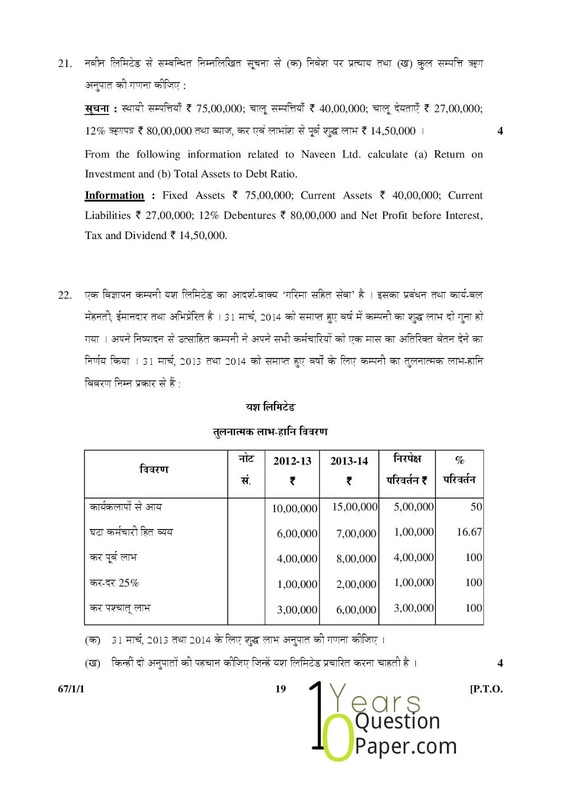 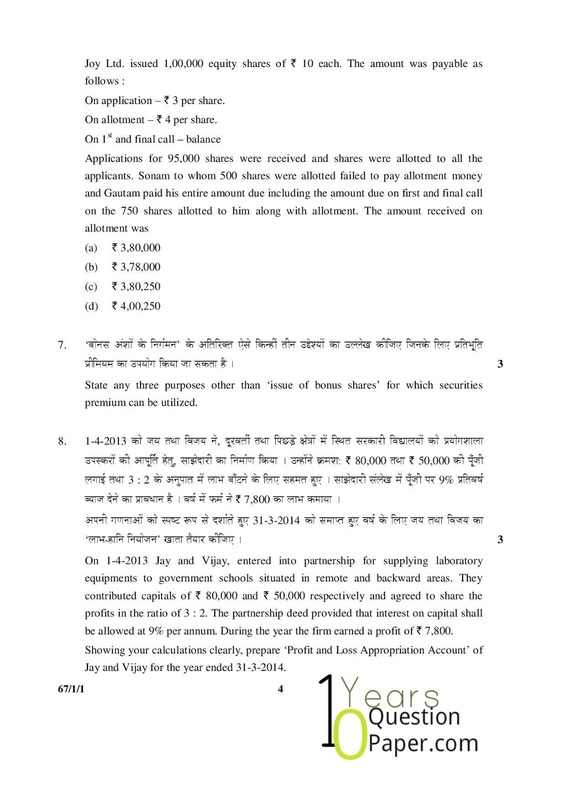 CBSE Accountancy 2015 CBSE Board Exam paper Class XII – C.B.S.E Download Free Online Question Paper. 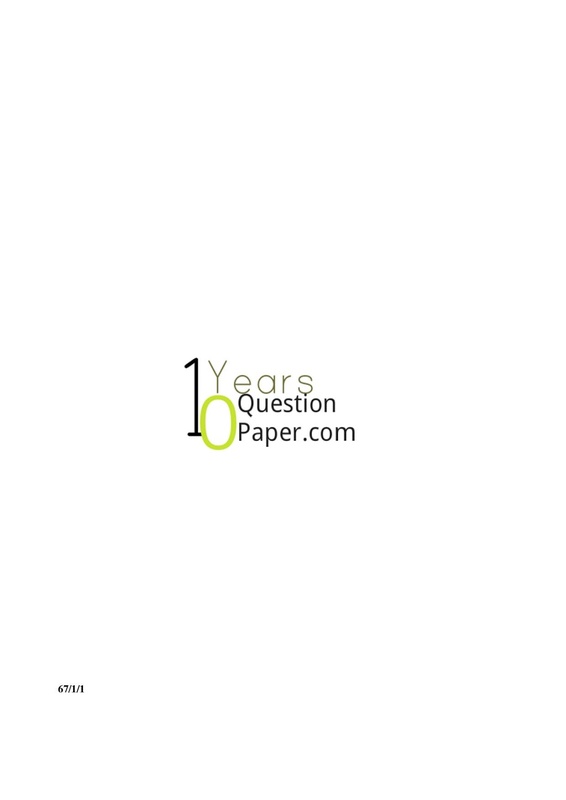 Tags: cbse Account class xii question paper 2015 (set-1),Accountancy class 12th 2015 question paper,Accountancy question papers, Accountancy question paper 2015,cbse class 12 Accountancy question papers with answers,Accountancy Delhi CBSE question paper 2015,12th question paper 2015, cbse class xii, cbse 12, cbse 12th standard,cbse class 12 question paper 2015,class 12 question paper 2015,cbse question paper for class 12 2015,cbse question papers for class 12 2015,sample question paper for class 12,cbse sample question paper,cbse class 12 sample question papers,cbse XII Accountancy question paper,xii cbse question papers,cbse 12th board Accountancy question paper 2015 (set-1).